The pinwheel is the symbol for a happy childhood and hope. 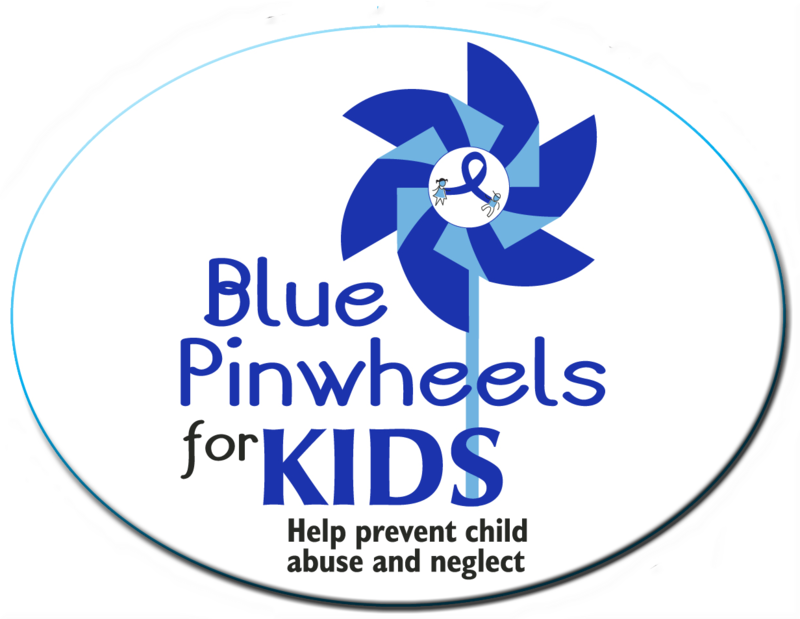 The color blue of the pinwheel represents child abuse and neglect awareness. Lifejackets has used pinwheels to promote hope and happiness in children for over 25 years. 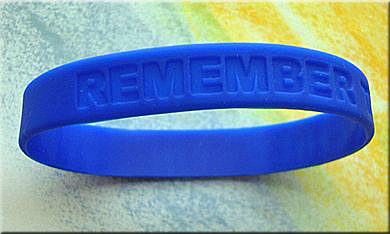 2" Child Abuse & Neglect Awareness Stickers, with the theme "Remember the Children" w/Pinwheel. Roll of 1,000 stickers only $53.95 per roll. 18x24" Child Abuse & Neglect Awareness Poster. Only $3.50 each. See our Sale Pack of Posters! 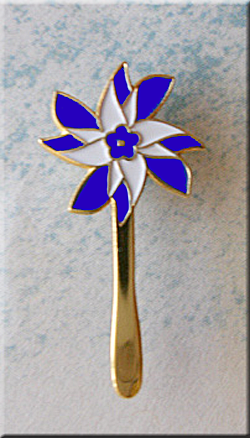 PINWHEEL LAPEL PIN - Finest quality enamel 1" lapel pin. Gold plated with butterfly clutch. Only $1.65 each. See more info page for quantity discounts. *Sale BAG OF BUTTONS! - 72 assorted buttons per bag(#578). All styles(see more info) or choose your favorites, only $32.50 per bag. Price includes a 10% discount. 2" Embroidered Pinwheel Press & Apply Appliques. Package of 50 embroidered pinwheel appliques only $32.50 per package. *See info page for pricing and quantity discounts. 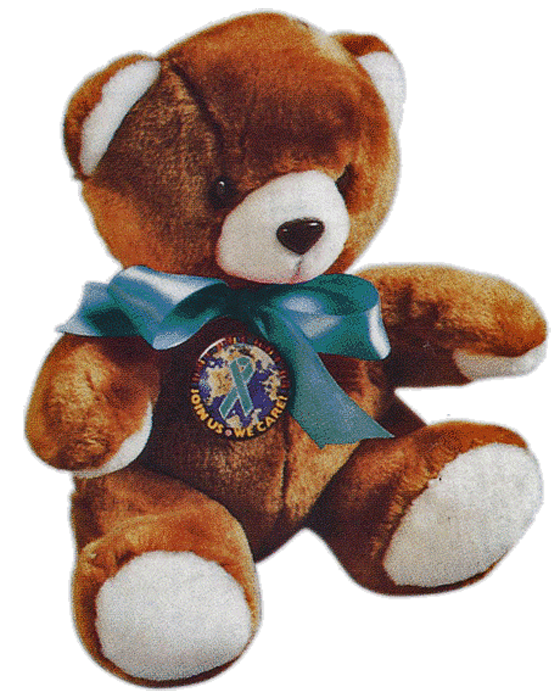 9" Plush Blue Ribbon teddy bear with pinwheel button, only $5.95 each. White #2 Pencil with Blue imprint of slogan & pinwheel. Only $0.25 each. Quantity discounts available. 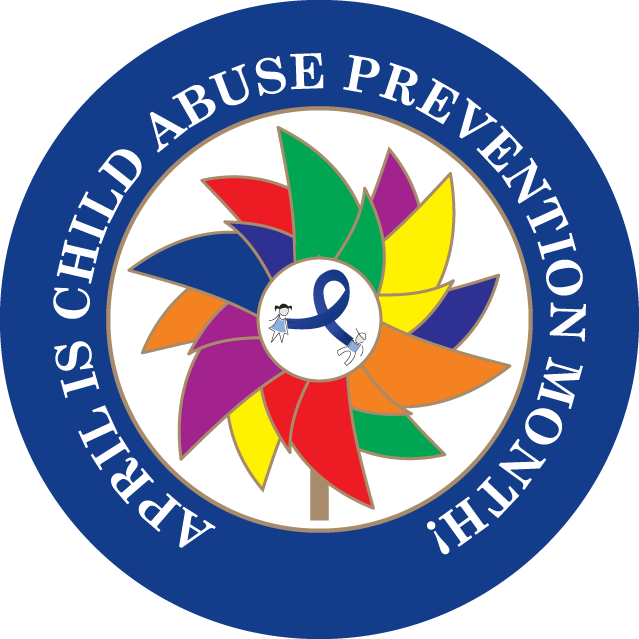 1 1/2" Child Abuse Prevention Button with multi-color imprint. $0.50 each. Also available in our sale bags of buttons. "BLUE PINWHEELS FOR KIDS" (3 x 4) Oval vinyl magnet. Only $1.45 each. Quantity discounts available. 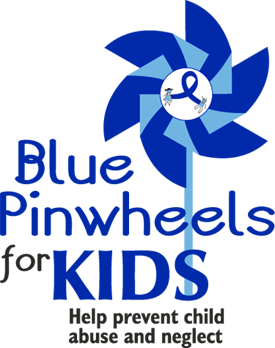 BLUE PINWHEELS FOR KIDS awareness stickers. Roll of 1,000 stickers only $53.95 per roll. *SPECIAL SALE ON THIS STICKER!